FAMILIES face the threat of higher charges because Irish Water is being forced to employ double the staff it needs, a leading ESRI economist has warned. Professor John FitzGerald, senior researcher at the Economic and Social Research Institute (ESRI), said the extra wages and other costs for 2,000 extra staff would amount to around €150m a year – or up to €2bn until the arrangement expires in 2025. Irish Water will have to take on more than 4,000 local authority staff and employ them on service level agreements (SLAs) until 2025, as part of the deal to transfer water supplies from the authorities to the new state company. Irish Water executives believe they need less than 2,000 employees. If the entire €150m cost was passed on to every household, it would add around €90 a year to water bills when they start arriving next January. The new water utility has been embroiled in controversy over its set-up costs, including some €50m spent on consultancy fees during its first year in operation and potential bonuses for staff. Yet Prof FitzGerald warned the payments to consultants, which caused controversy, were "tiny" compared to this extra wage burden. "The customers will pay for this in higher water charges," he told the Irish Independent. "These contracts with local authorities were entered into without any tender process and they will tie Irish Water's hands from making major savings." Households have been promised savings of up to €2bn from the establishment of Irish Water to operate a national system. But Dr FitzGerald, who specialises in this area, said these savings would be wiped out by the unnecessary staff costs. 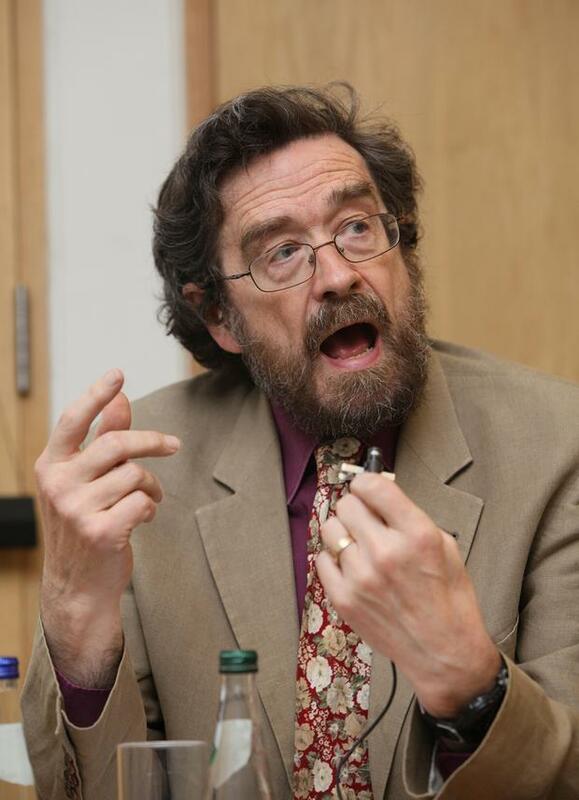 "I was on the review panel on the establishment of Northern Ireland Water. We reckoned savings of 20pc-40pc could be made by having an integrated system. Irish Water will be prevented from making those kind of savings because of these contracts with the local authorities," he said. He is also concerned about how staff will be transferred. "If the local authorities get to choose who goes, they may be tempted to pick people they want rid of. Irish Water will end up even more inefficient than if it could pick people itself." operational efficiencies in terms of the water system". The body pointed out the SLAs in place between it and the local authorities over the staff currently working on water services would deliver long-term savings. "Whilst we cannot be definitive in terms of the resources within the local authorities working in water services on behalf of Irish Water in 2025 when the SLAs end, it is expected that the overall headcount numbers will reduce," the body pointed out. Also, it is unclear what extra costs the body may have faced if it had embarked on a redundancy scheme rather than opting to take on the staff on the SLAs. "The SLAs will be reviewed annually to ensure that they are delivering savings but in the absence of clarity on the operational and capital expenditure budgets to 2012, it's not possible to be definitive about costs. "Ultimately, the regulator will set the level of water charges and will do that in applying a model, probably not dissimilar to the gas prices," the spokesperson said. Prof FitzGerald's comments came as more questions were raised over Irish Water's controversial recruitment regime, with one-third of the 309 positions at the new semi-state awarded to former local authority staff. It emerged that local authorities indicated their co-operation with the setting up of the new water utility may be linked to assurances over jobs, pensions and the length of the SLAs with the employees of the local authorities. A new 40-page document, revealed by RTE's 'This Week' programme, showed local authorities had "strongly hinted" that their co-operation with the inventory of the State's water assets, which were previously under the remit of local authorities and councils, were dependent on the resolving of a number of issues. The paper, from the Irish Water steering group, dating from December 2012, informed Bord Gais that the progress with the councils was "very slow". It was addressing matters through the Transition Office set up under the remit of the City and County Manager's Association (CCMA). The document stated that the Transition Office "strongly hinted" the provision of information for the processes may be "linked to the resolution of a range of issues the CCMA have". This included the transfer of a large number of local authority staff into Irish Water and the duration of the SLAs for the 4,000 staff working in the water services areas for the local authorities. It had initially been expected these would run for a short period but it has since emerged they are in place up until 2025. Irish Water has also confirmed that certain roles had restrictions placed on them and were recruited only from local authorities, Bord Gais and the Department of Environment. Communications Minister Pat Rabbitte said the Government was "railroaded by the troika" into setting up Irish Water in an 18-month timeframe, which was too short. However, Fianna Fail leader Micheal Martin said it was "disingenuous" to blame the troika's insistence on speedy establishment on the high spend on consultancies and "carve up of senior jobs". He said "proper transparency" was needed.